Chiropractic is a form of manual medicine involving the use of hands-on techniques to treat all types of body aches, pains and tightness. Using a holistic approach to health care, your chiropractor will identify the cause of injury, rather than just treating symptoms (or prescribing endless painkillers or exercises). We offer chiropractic treatment for the whole family. From babies and children, through to adults of all ages, we are dedicated to providing you with an outstanding experience, and effective treatment. Your chiropractor will tailor each session to help you and your loved ones resolve their pain and discomfort, no matter what the symptom. 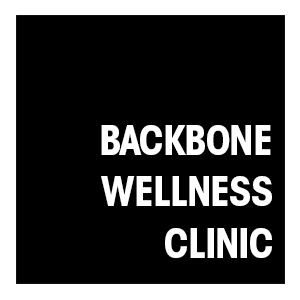 Treatment deals with the whole body, with your central nervous system at its core – depending on the issue, your chiropractor may also provide muscle work, myofacial release, stretches, trigger point therapy and dietary advice alongside adjustments. Every cell, tissue and organ is controlled by your nervous system. Through the nervous system, it allows our body to coordinate all function and movements of your body, your ability to adapt to stress and think, express and feel emotions. Essentially, the nervous system keeps us alive and healthy. The spine protects the nervous system. Tension, misalignments and distortion to normal movement can affect the messages travelling to and from your nervous system and the body. This could have dramatic effects both on your health and wellbeing. These are formed when the body responds to physical (falls and strains), chemical (not getting enough of certain vitamins or minerals) and emotional stresses (additional tension on muscles and joints). Chiropractic care ensures your body and spine is well aligned, so your nervous system can function optimally. By reducing stress on your body and nervous system, aches and pains are also relieved, while your body can start the self-healing process. Chiropractic care takes a holistic approach, by putting an emphasis on the person as a whole, and includes advice about nutrition and exercise, wellness and healthy lifestyle modifications. Chiropractic is often regarded as a treatment solely for back problems, but this couldn’t be further from the truth. It is based on the idea that by maintaining good spinal alignment, and therefore clear and healthy pathways to and from the central nervous system, the body’s ability to self heal is improved. "A state of optimal physical, mental, and social well-being, and not merely the absence of disease and infirmity."